At Mosaddegh Eye Institute we also use blade-free LASIK to create the corneal flap in a faster, safer and more precise manner. For this process we utilize the iFS® femtosecond laser. You can learn more about blade-free LASIK technologies and find out if your eyes are right for this procedure by scheduling a free LASIK Consultation with us today. Our LASIK doctors will perform a comprehensive exam and provide up-front and honest information about your eye health and our recommendations for improvement. 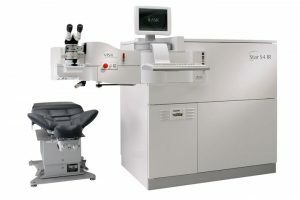 Personalized, precise treatment: the VISX STAR S4 IR laser system uses digital 3D information about your own unique eye characteristics gathered during WaveScan measurements to correct specific areas on your cornea. Safety – Iris Recognition (IR): eye tracking technology is incorporated to compensate for any involuntary eye movements which halt the process entirely until the eye is in the correct position. Quickness and comfort: the process takes just minutes to complete so the process is comfortable for most patients. Not all LASIK doctors in San Francisco offer this level of LASIK technology. If you are considering LASIK, make sure you do your research and learn about the different types of FDA-approved LASIK technology that exist so you can make an informed decision about which one is right for you. 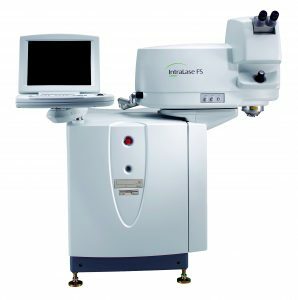 The best way to learn about the VISX STAR S4 IR laser system and find out if your eyes are right for this technology is by scheduling a no-obligation free LASIK Consultation with us today.